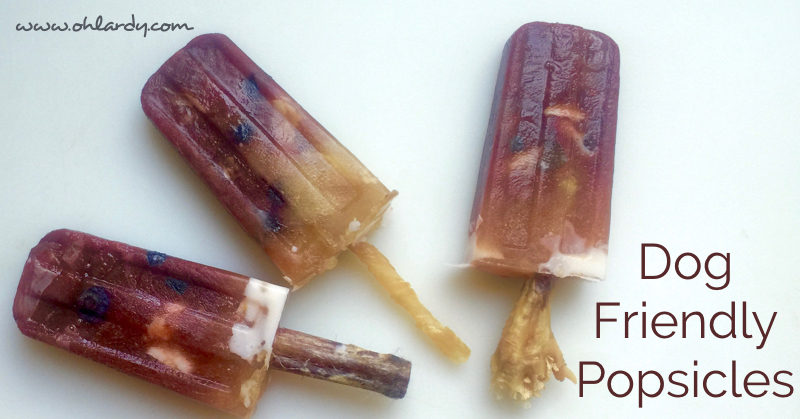 You guys are going to love this frozen dog treat recipe! When the weather gets hot, we all feel it, right? I know for me in hot weather, I like to cool down with ice cold drinks, peppermint essential oil, homemade popsicles and other frosty treats! 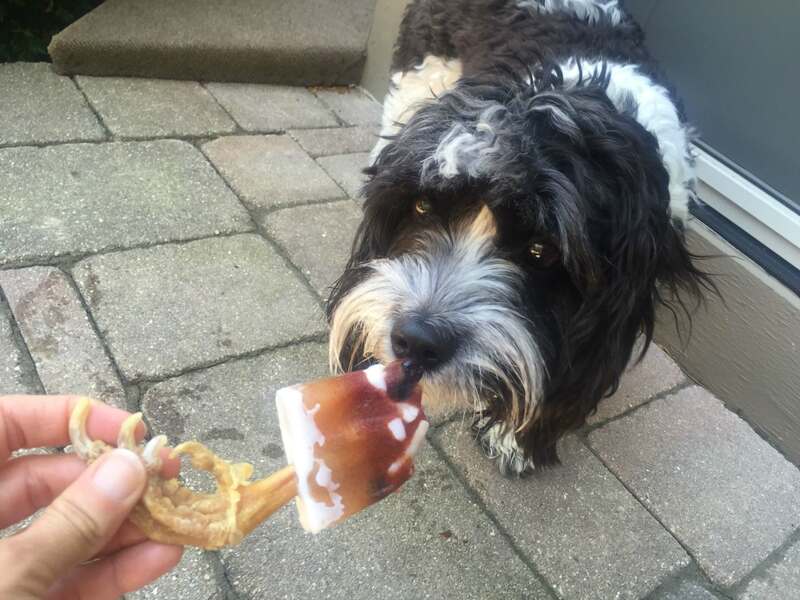 I often give my dog ice cubes and ice water but recently I decided that she needed a dog friendly popsicle too! And as you can tell, she loved them!! I care about the quality of food my dog eats much the same way I do about my family. I read ingredient labels for her dog food and only choose nourishing, healthy treats and chews. 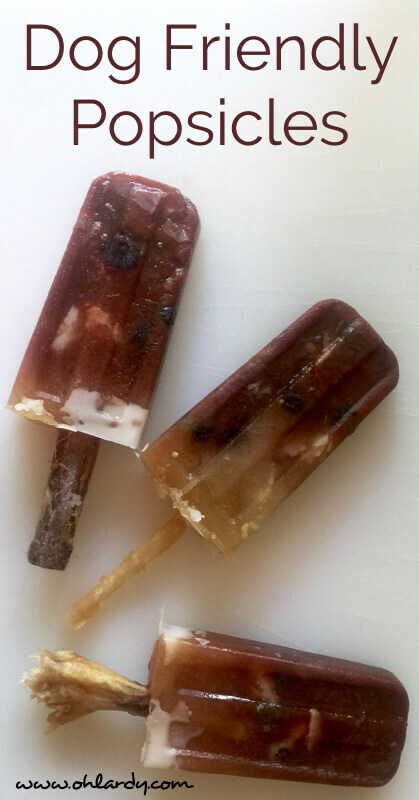 When I came up with this dog friendly popsicle recipe, I wanted to keep it very nourishing but still make it a frosty treat! I used cut up bits of grass fed beef (I was cutting up a roast and just cut off some of the end pieces), blueberries, coconut oil, probiotic capsule powder, NingXia Red (an antioxidant drink) and bone broth. I used dehydrated animal parts (turkey tendons, chicken feet, bully sticks) as the ‘sticks' but you could use anything edible. Our dog LOVES to chew on dehydrated parts so I knew this would be a hit. You can change up the ingredients to fit what your dog likes and what you have on hand but be sure you are choosing nutrient dense foods! 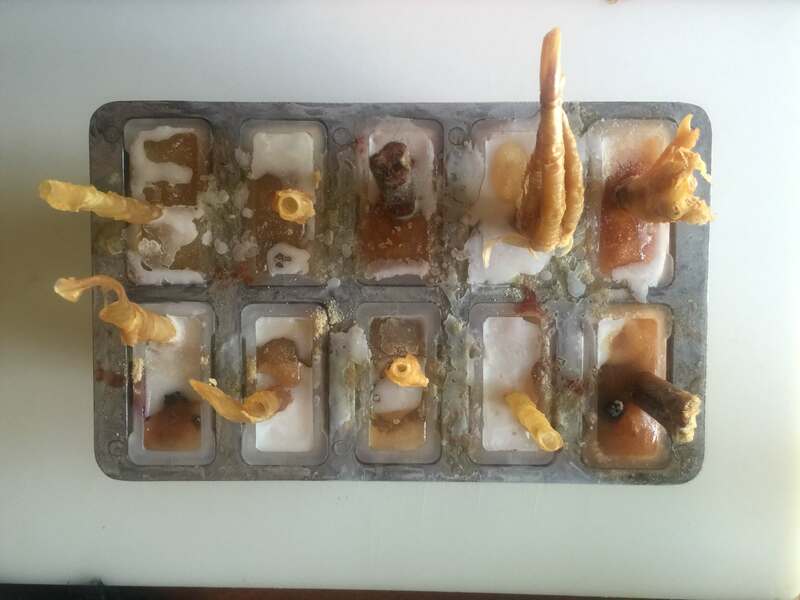 If you change up this frozen dog treat recipe, let me know what you decided to do in the comments! Would love to hear about other ways you keep your pets cool too! Depending on the number of popsicle molds you have, your number of ingredients may differ. This recipe is for 1 pop. Feel free to adjust the recipe according to your dog's preferences! Dog-friendly popsicle, you say? I’m gonna whip this recipe up for my dogs.. Such a great idea! We usually just freeze yogurt or bone broth into ice cube trays but this definitely takes it up a notch! Also, our fur-beast gets two scoops of yogurt mixed into his food at each feeding to keep his belly in check. He’s now become a yogurt snob! Be careful adding NingXia! It contains Grape seed extract, grapes are a toxin to dogs. While the toxic substance in grapes and raisins is unknown, it can cause kidney failure in sensitive individuals. Dogs that already have underlying health problems are at greatest risk and just one raisin can be fatal.